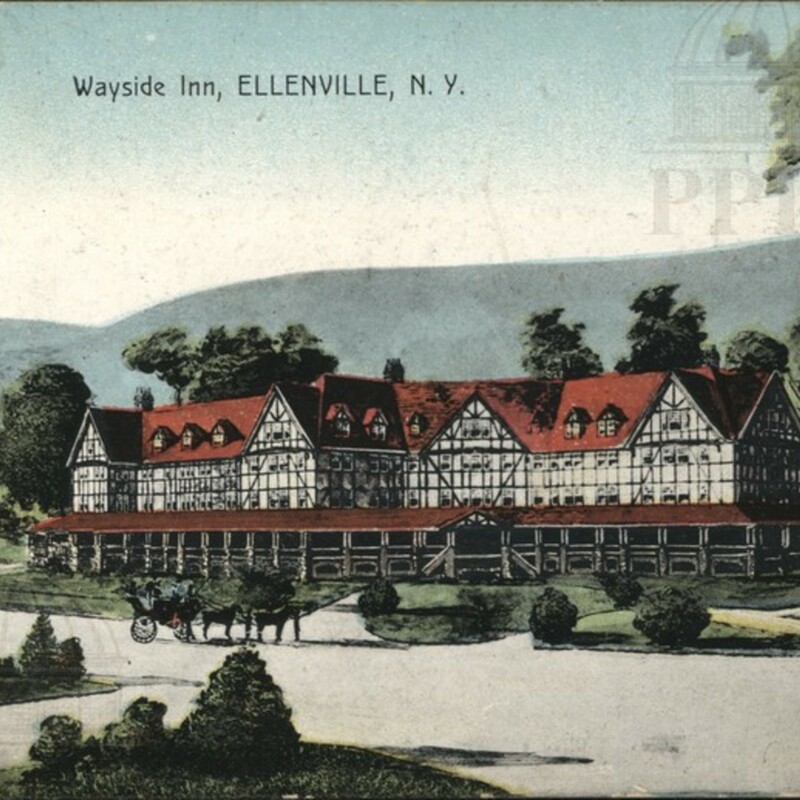 Color illustration of the Wayside Inn in Ellenville. 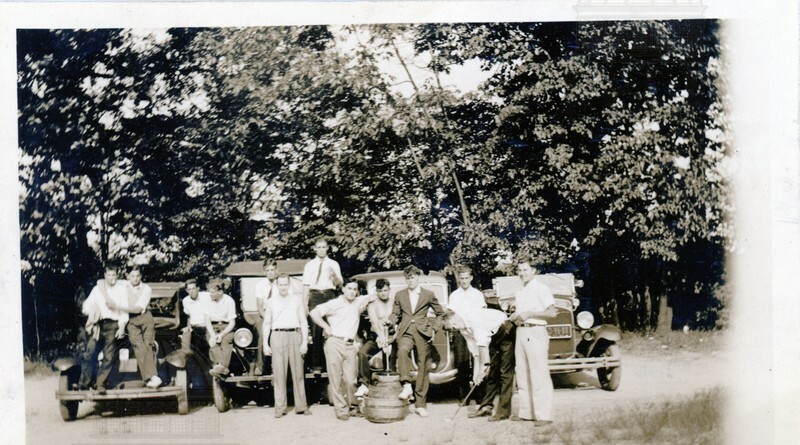 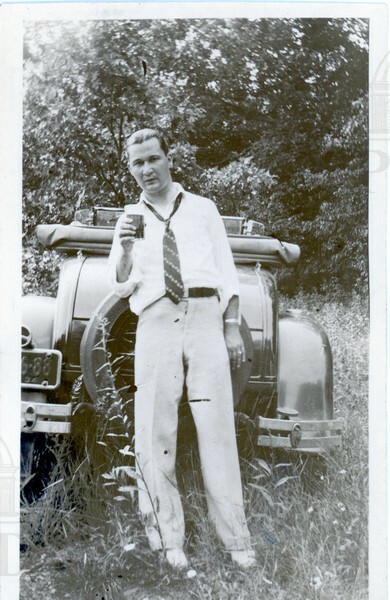 Photograph of Samuel Moore & others in front of vehicles. 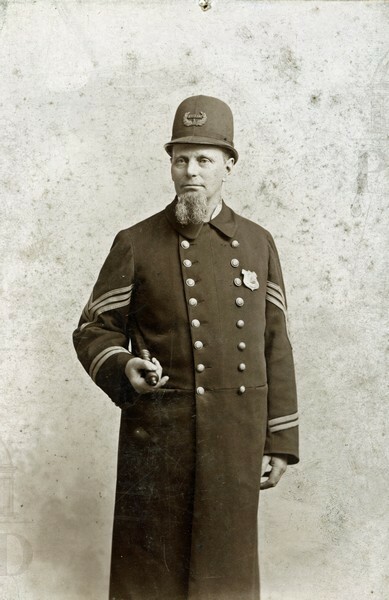 Photograph of Samuel Moore, former police commishioner. 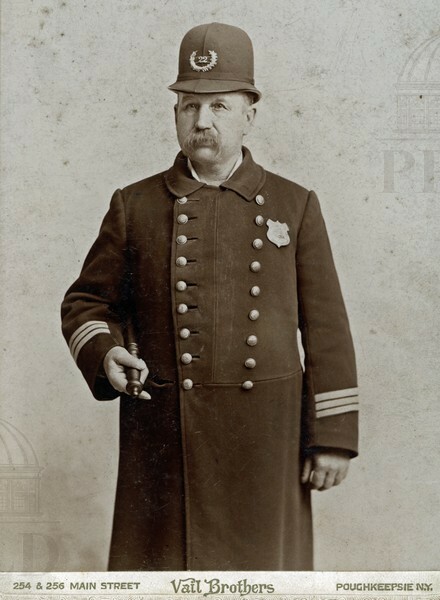 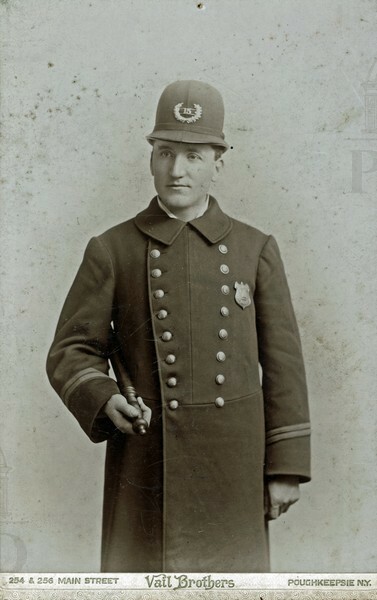 Portrait of George LeRoy, policeman for the Ferry Co. 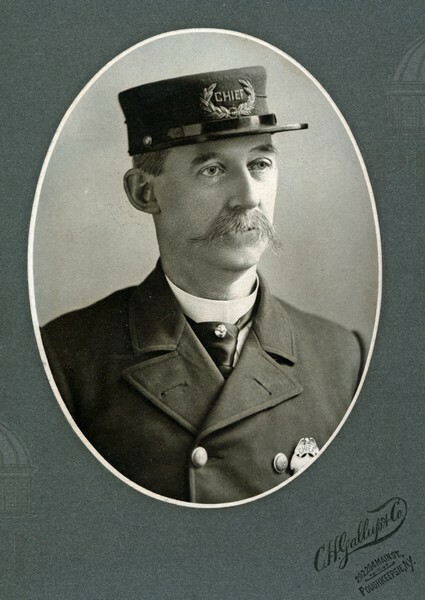 Portrait of Charles W. Belding, Sheriff of Dover. 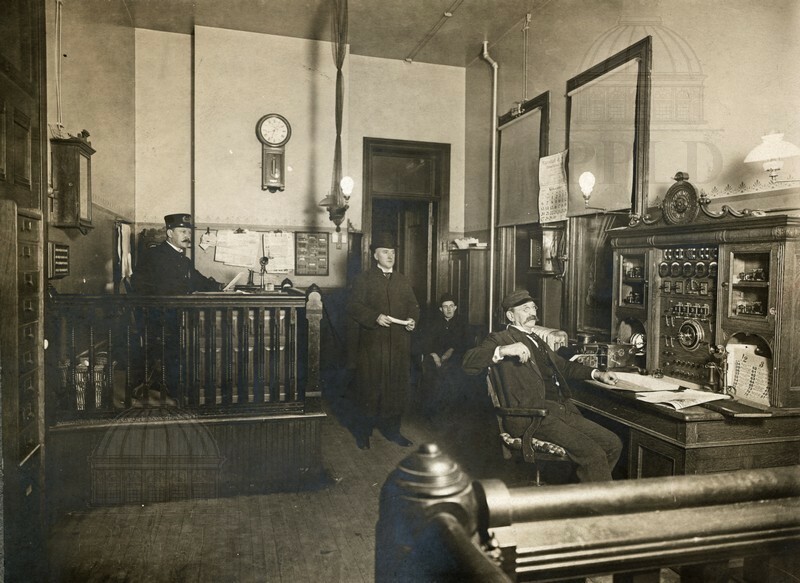 Interior shot of the Poughkeepsie police station. 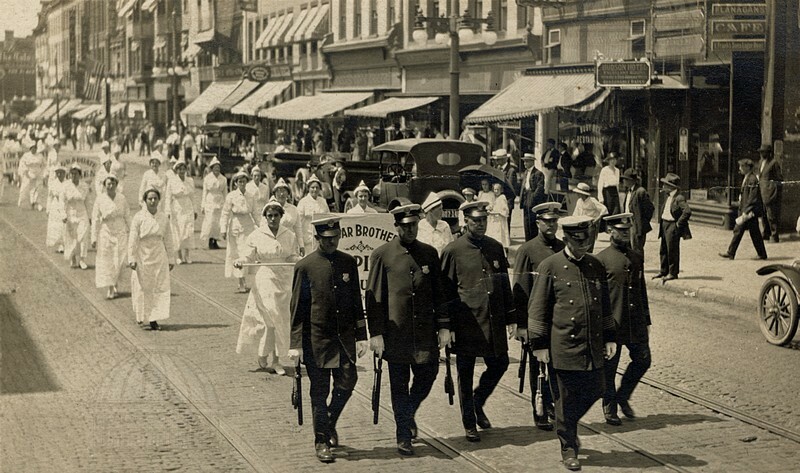 Members of police force marching in parade. 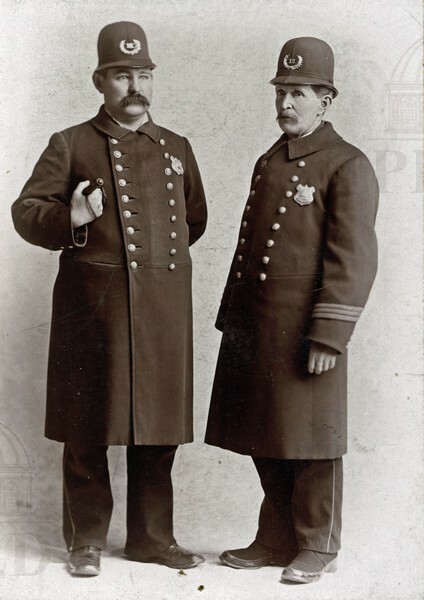 Portrait of Officers John Crum & Michael Whalen. 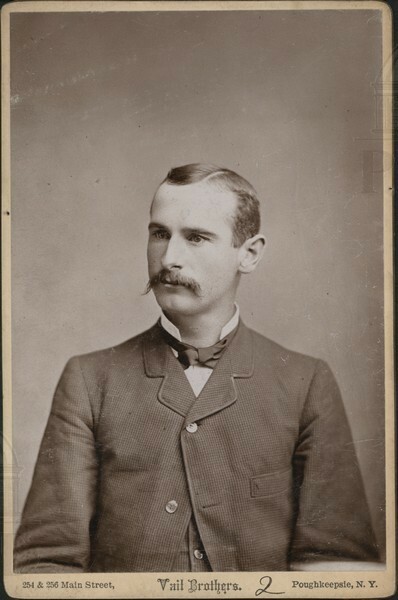 Portrait of Officer Michael Martin. 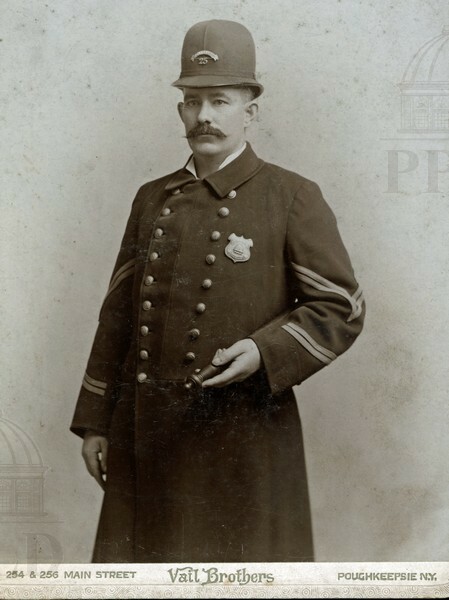 Portrait of Officer Edson Welton. 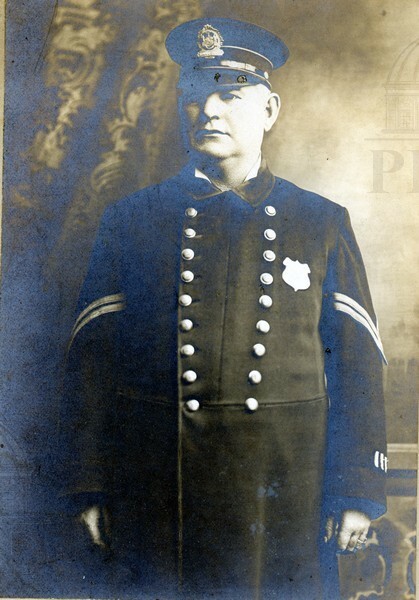 Portrait of Officer Patrick McGowan. 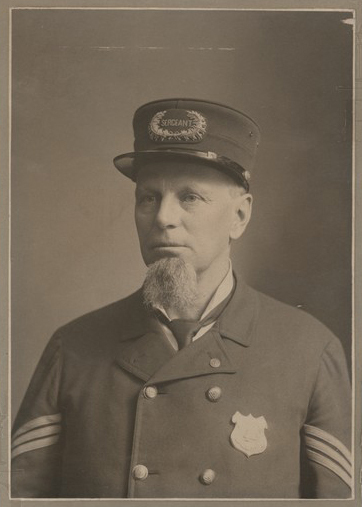 Portrait of Officer William W. Horsfall. 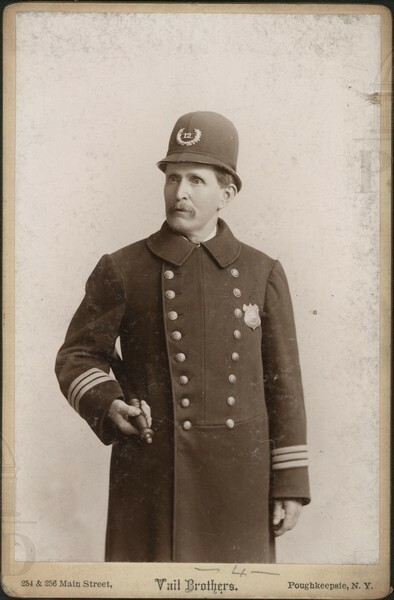 Portrait of William McCabe, Chief of Police. 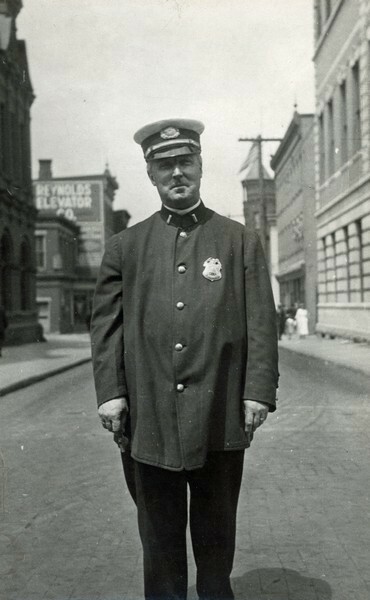 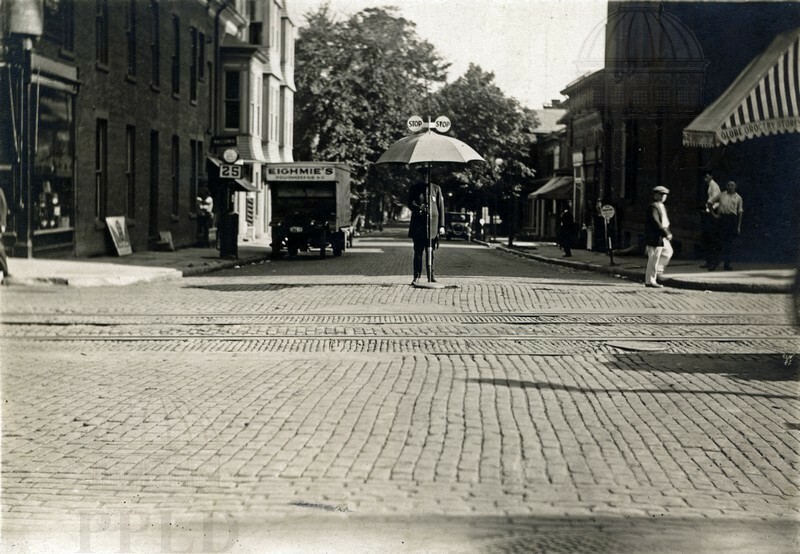 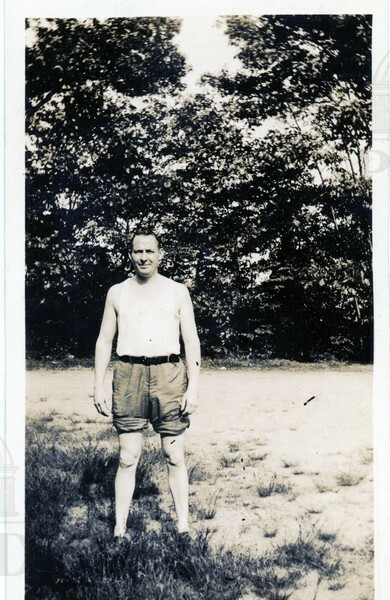 Photograph of Officer Nathan Wasson, standing in the street. 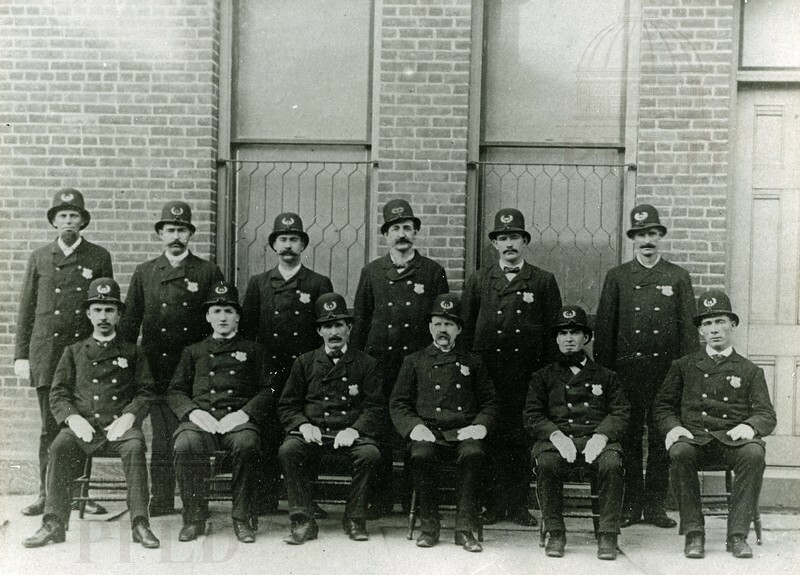 Group portrait of the Poughkeepsie Police Force. 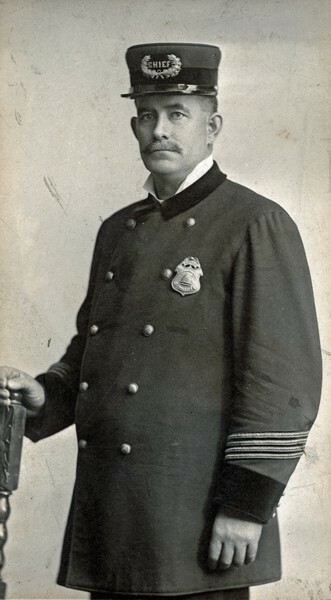 Portrait of Charles J. McCabe, Chief of Police.